This stylish photo booth can fit in at ANY venue! We have loads of Backdrops to compliment your event or venue. Dont need a backdrop or want something custom let us know! Your GIF booth is lightweight and perfect for those smaller spaces. You can do still images, Boomerangs, GIFs with your logo, or we can create a design for you! Your GIFs and Still images can be shared Instantly on social media or even be text directly to you. 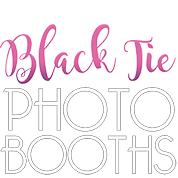 Your GIF booth hire comes with an online gallery that we can personalize to suit your event branding! We offer an open style photobooth as well as an enclosed photobooth style. Both styles are equipped with studio lighting and a DSLR camera and both offer instant printing. Do you LOVE Social media? you can add social media upload to your photo booth hire! Guests can email themselves a copy of the photo to share instantly! WHY YOU NEED OUR PHOTO BOOTH AT YOUR EVENT! Our photo booths are fun! We want your guests to be entertained. So you can sit back and enjoy the event you have dreamed of. We have got a great range of photo booths to choose from. Open and enclosed photo booths, Instagram printing, the new GIF photo booth, props, photo books … everything you need! We also stay at your event to assist and entertain your guests! Cannot rate them any higher! Best service, reliable and the product is amazing. The booths are perfect and the photos are so clear and at such an affordable price! I’ve used them multiple times at both private and corporate events and will be doing so again. I have hired the enclosed booth, open booth and the brand new Gif booth for work functions. The business owners are lovely and nothing is too much trouble for them! Would highly recommend this service for private and professional events. Our enclosed photo booth was one of the highlights of the entire wedding and created such a fun energy throughout the wedding reception. Our guests had a ball and it really allowed people to loosen up and enjoy themselves. I cannot recommend blacktie enough. 10 out of 10 would use again in a heartbeat! We’re based in Lismore, on the far North Coast of NSW. We travel anywhere from Coffs Harbour to Brisbane to make your next event fun for everyone attending!